After a disappointing fifth-place finish in last season’s Premier League, Chelsea are competing in Europe’s second-tier club competition this term. Maurizio Sarri’s side have won all four of their Group L games and are already through to the knockout stages. But things are also going well for their Premier League campaign with Chelsea unbeaten and just two points adrift of leaders Manchester City after 12 games. While acknowledging their promising outlook in the Europa League, Ballack is certain that a club of Chelsea’s calibre should be focusing on Champions League football. 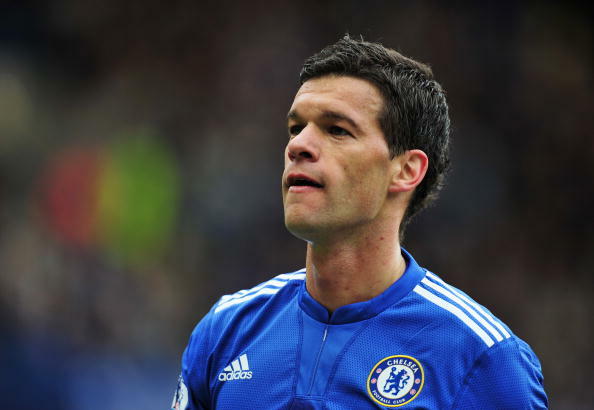 “I wouldn’t say their first target should be the Europa League,” Ballack told The Sun. “Chelsea should be a Champions League club. “But they have a situation where they have a great chance to win an international trophy. “They must do their best to take it. Ambition-wise, Chelsea must think about the Premier League and the Champions League, the titles which are really important. Chelsea will travel to Tottenham on November 24 for their next Premier League fixture.